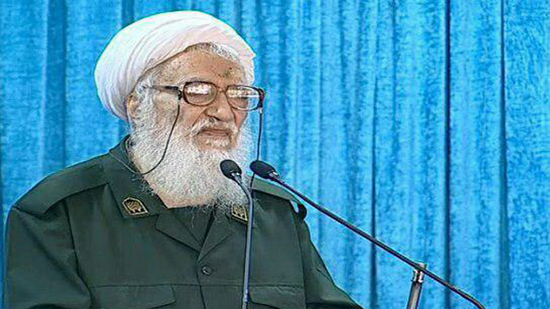 It has become evident to all the people of the world, regional nations in particular, that the US is the mother of terrorism, said Tehran’s interim Friday prayers leader Ayatollah Mohammad-Ali Movahhedi Kermani. Ayatollah Movahhedi Kermani made the remarks addressing a large crowd of worshippers in the Iranian capital on Friday referring to a recent move by US President Donald Trump blacklisting Islamic Revolution Guard Corps (IRGC) as a terrorist group. The Ayatollah noted that labeling an official military force of a country as terrorist runs contrary to all the international regulations. “I don’t know what does the silly Trump know? What is he doing? and whether he understands what he is doing [or no],” Ayatollah Movahhedi Kermani asked. Many world countries said that the US measure would further complicate the situation in the Middle East, the Ayatollah said. Noting that the US supported different terrorist groups including Daesh, al-Nusra and Ahrar al-Sham, while it was the IRGC that brought the US-led terrorist groups in the region to their knees, Tehran’s interim Friday prayer leader said that it is ridiculous to say the US is opposed to terrorism while the IRGC is an example of terrorism.